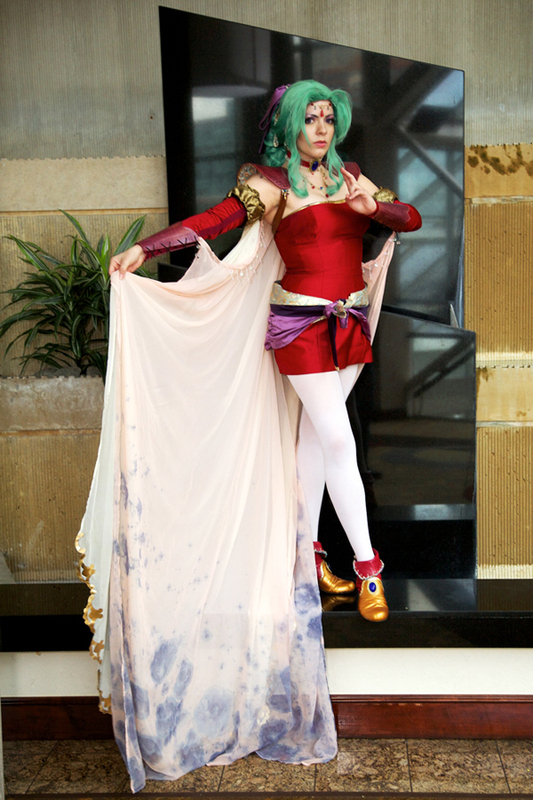 Interview with Kapalaka | Cosplay Blog… with a Brain! It’s time for another interview, this time with Kapalaka! 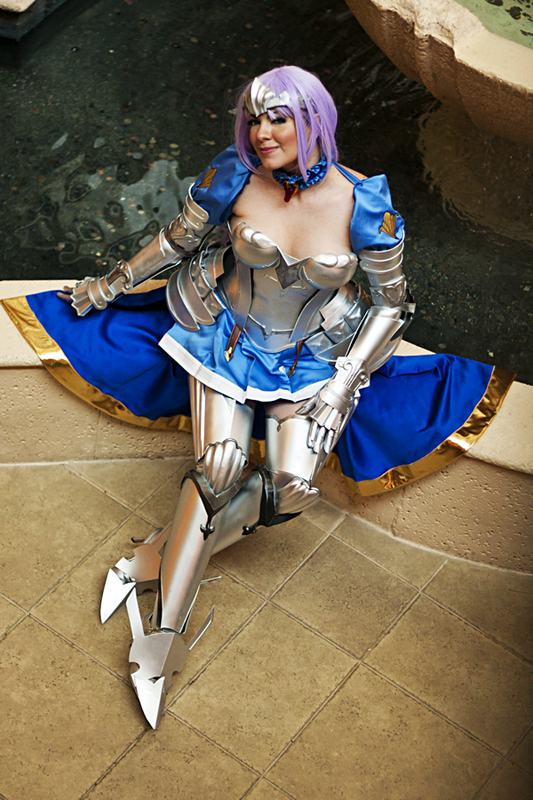 She’s a talented cosplayer from Florida, who has an amazing collection of costumes! My love for video games and anime led me to the cosplay community in 2005. It was my senior year of high school and I thought the regular “vote for me” signs were lame when I ran for Homecoming Court. In response to this thought, I pursued a different type of campaign by making silly ads with my face over the bodies of my favorite Final Fantasy girls. I thought to myself, “Hmm… I wonder if people actually make these outfits and wear them…” When I saw people cosplaying online, I immediately started researching upcoming conventions and looking up cosplay photos of my favorite characters. CosplayLab was particularly helpful and I still look up to a lot of the cosplayers that were featured in the CosplayLab Spotlights and Look-Alikes. Also, just in case you are wondering, the campaign was very successful and I made it onto Court. I am excited to start using 3D printers to generate prototypes for casting. I am studying architecture in graduate school and 3D modeling isn’t part of the curriculum, so it has been a frustrating, yet rewarding, self-teaching experience. Learning to model may not be part of the curriculum, but it is a welcomed bonus in the field. So, I get to work on my real-life-stuff along with cosplay stuff. 🙂 I have never created parts in this way and despite my avid support for creating everything from scratch, I also believe that it is intelligent to use technology to advance in your craft. Creating cast-ready masters for mold-making is certainly the most time-consuming experience for me in cosplay, but working in model-space makes for far less waste in materials. I love seeing when cosplayers take the time to properly style their wigs and wear make-up/contact lenses to complete their character’s look. A lot of my favorites that I looked up to have retired from the cosplay scene such as Lord Masamune, Katie Bair, and Alaria, but Adella still cosplays. These are the people I admired most when I started cosplay and I still remember them very fondly not only for their talent, but their congeniality. I love how supportive cosplayers are of each other. Whenever I experienced a wardrobe malfunction, there has always been a nearby stranger ready to help with a safety pin or hairpin. What is even more memorable to me is how supportive one cosplayer I admired was when I set out to make my first costume. I must have asked Alaria a million questions and I wince thinking at how annoying I must have been, but she was patient with me. For that I am forever grateful, because without her encouragement and kindness, my interest in cosplay would have fizzled out quickly. I don’t believe there is anything wrong with the cosplay scene so much as there is a problem with unkind people in general. Some insecure people that get into this hobby have a need to tear apart other cosplayers for an ego boost, especially when the person has on the same costume. This is pointless to do because making fun of others doesn’t make the mean person’s costume any better, but then again, there is no logic in bullying. I wish people would control their negativity; even children know it is wrong to make fun of others. Cheesy as it sounds, I always think back to a fortune cookie I received in middle school: “Speak well and you will never need to whisper.” A person should find validation within themselves and good confidence will follow. When you are in a positive mindset, you see the possibilities in everything. Don’t give up. 🙂 Cosplay is a very challenging hobby because it is the ultimate form of fanart. It will put your sewing, sculpting, drawing, casting, basically any kind of crafting skills to the test, each of which could take people years to master. I believe that people who really grapple with learning an ability have a tendency to produce excellent work because they have tempered their skills. Dragon*Con is usually the last convention I attend for the year and it is the perfect high-note end of a con-season. It not only has amazing cosplay and a myriad of great guests, but all of my east coast friends are usually there and even some west coast! 😮 It is pretty rare for west coast cosplayers to attend east coast conventions and vice-versa, but these two conventions have the highest possibility of it. I very much appreciate how liberal Dragon*Con is about their dress-code policy. The crowd that shows up to Dragon*Con is older than the average anime convention attendee which makes for a more adult themed convention. I never have to worry about a costume being immodest because almost anything flies there. My Terra costume’s pauldrons and bracers are made out of real leather and I tooled them myself. We learned in design class that it is better to make embellishment meaningful rather than plastering decoration. I apply this to cosplay when reference art is vague. I designed artwork of Terra’s parents and herself in her two different forms for my pauldrons: human and esper. The human form on the front graphically connects to the emblem of her human mother on the back, and the same goes for her esper form and her esper father. Once the tooling was complete, I used leather dye to tint the leather to the correct shade to match her sprite version. Thanks for the interview, Kapalaka! You can see more of her work on her Facebook page, her Cosplay.com account, her American Cosplay Paradise account, and her Deviantart!